Polyoak’s third annual clean-up by volunteering employees and family removed almost 3.7 tons of litter across the country late last year. “You can’t just say you want to help shape the future. You have to roll up your sleeves and get involved to really make a difference,” explains Jeremy Mackintosh, Polyoak Group managing director. This year has been another productive year for Polyoak regarding its sustainability agenda. 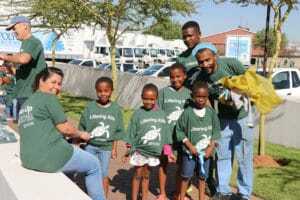 Late last year, Polyoak Packaging conducted its third annual clean-up programme with hundreds of dedicated employees and their families volunteering to collect litter for recycling at eight locations across the country in Gauteng, Durban, Cape Town, Port Elizabeth, East London, George, Middelburg and Polokwane. This year’s campaign theme, ‘Littering Kills’ highlights the responsibility of citizens to dispose of their waste responsibly, to prevent it from ending up in the environment where it poses a risk to marine life, wildlife and humans. Collectively these Polyoak volunteers removed almost 3.7 tons of litter, that otherwise would have entered our waterways, ending up polluting the ocean. In line with its ongoing commitment to having a positive and sustainable impact on the environment, Polyoak upgraded to even more energy-efficient forklifts in August, to assist with the loading and offloading of its trucks. The new fleet includes the latest electric forklift models, said to be amongst the cleanest and quietest available on the market. These best-in-class forklifts have enabled longer operating times between charges, and increased productivity, efficiency and safety. The company is also nearing completion in the roll-out of its bespoke ‘Zero Waste’ programme, which has now seen almost all its employees trained on how to separate waste at source to optimise recycling, and ultimately eliminate waste sent to landfill. The programme includes installation and usage of purpose-designed recycling bins at its manufacturing plants and distribution centres nationwide. The implementation of this employee programme, as an extension to its existing waste management system, has already delivered significant gains in the amount of post-consumer waste being diverted for recycling. 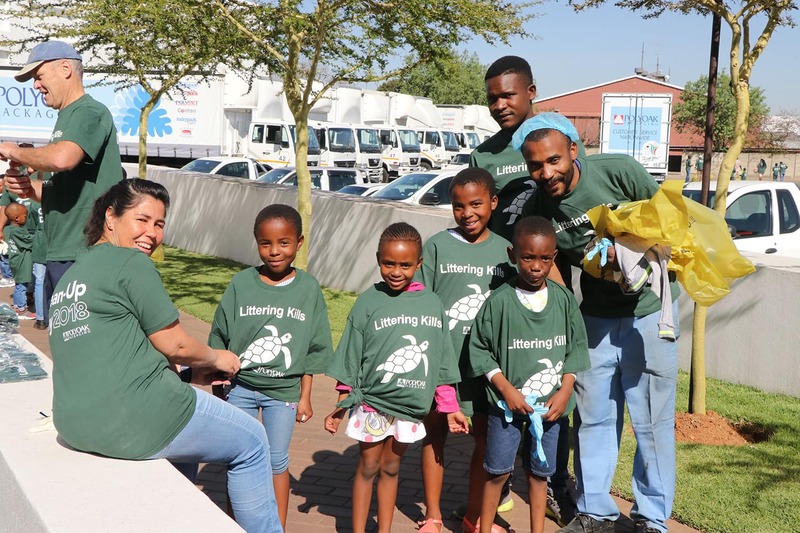 As one of South Africa’s first signatories to ‘Operation Clean Sweep’, the company’s ‘Zero Waste’ programme also includes a disciplined focus at each of its manufacturing sites to prevent pellet loss into the natural environment. “We need to lead by example. We are proud to make plastic packaging that is convenient, prevents food waste and is too valuable to throw away as it can be recycled. With the help of our employees, our customers and community at large, we can grow the recycling industry which currently sustains nearly 60 000 informal jobs annually, and at the same time enjoy the benefits of plastic without harming our environment,” says Mackintosh. The company offers a wide range of plastic packaging including containers made from recycled material and plastic derived from renewable sources such as sugar cane. Its design experts are constantly exploring innovative new technology and materials, to provide and advise its customers about the most suitable and sustainable packaging options achievable to meet the demands of convenience, affordability and sustainability.